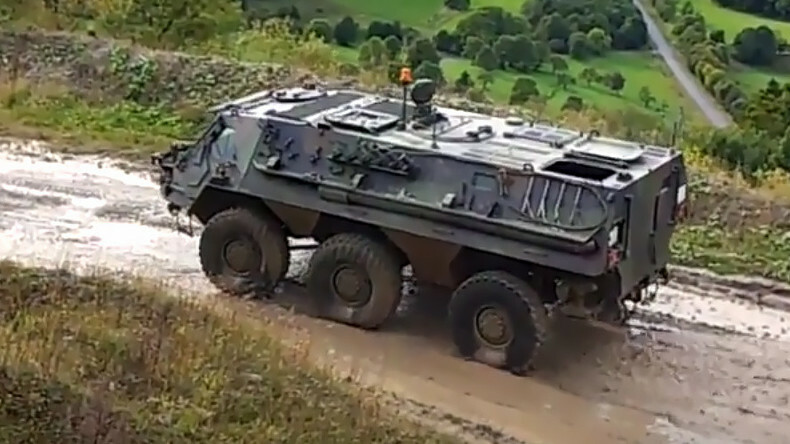 Unidentified thieves stole weapons from inside a Fox armored personnel carrier after breaking into a military facility in northern Germany, the Bundeswehr confirmed to local media. 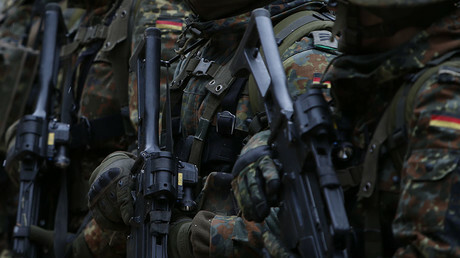 The perpetrators stole two G36 assault rifles, one P8 pistol, one flare gun, two magazines without ammunition, two radio devices, and a pair of binoculars, Die Welt reported, adding that the theft occurred on February 13 at a military training area near Munster, Lower Saxony. The weapons were not loaded at the time of the theft, a ministry spokesperson said, according to Germany’s Bild newspaper. “The case has been handed over to the Prosecutor’s Office in the city of Lueneburg,” a spokesperson for the Bundeswehr, Germany’s armed forces, told Die Welt. Earlier this week, German Defense Minister Ursula von der Leyen said that the military needed a faster and more efficient reporting scheme for incidents and potential threats. The minister, whose post includes the role of commander-in-chief of the Bundeswehr, is already in hot water over the scandal revolving around Franco Albrecht, a 28-year-old first lieutenant who was allegedly plotting a hate crime attack. Investigators said the officer had been living a double life for more than a year, serving in the army while receiving state benefits under a bogus identity as a supposed Syrian refugee. He is also suspected of having stolen ammunition from Bundeswehr stocks. In the meantime, numerous Nazi-era military awards, propaganda posters, and steel Wehrmacht helmets were discovered at an army barracks in western Germany last week during the ongoing investigation into Albrecht. She later apologized for her critical remarks.